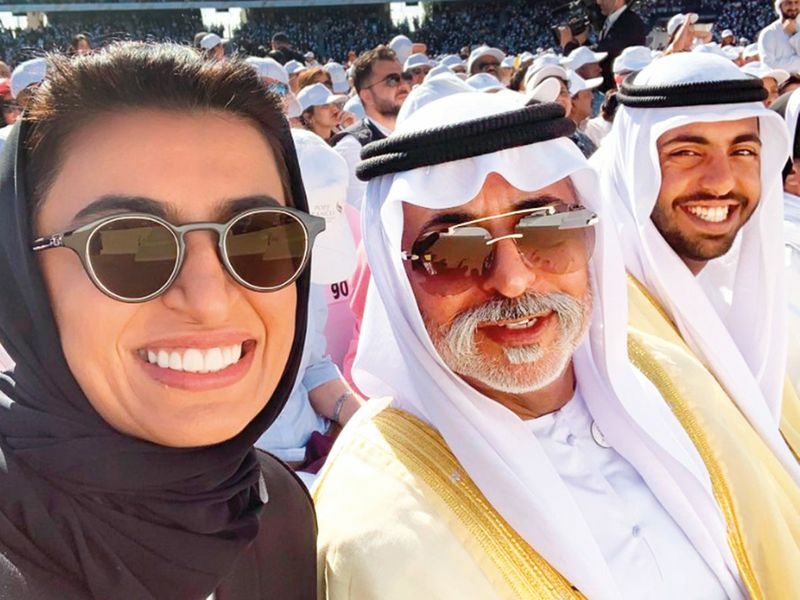 Abu Dhabi: Clamouring for a better view as his white open-topped Mercedes neared Zayed Sports City stadium, many of the 180,000 faithful present could be seen getting emotional ahead of Tuesday’s papal mass. 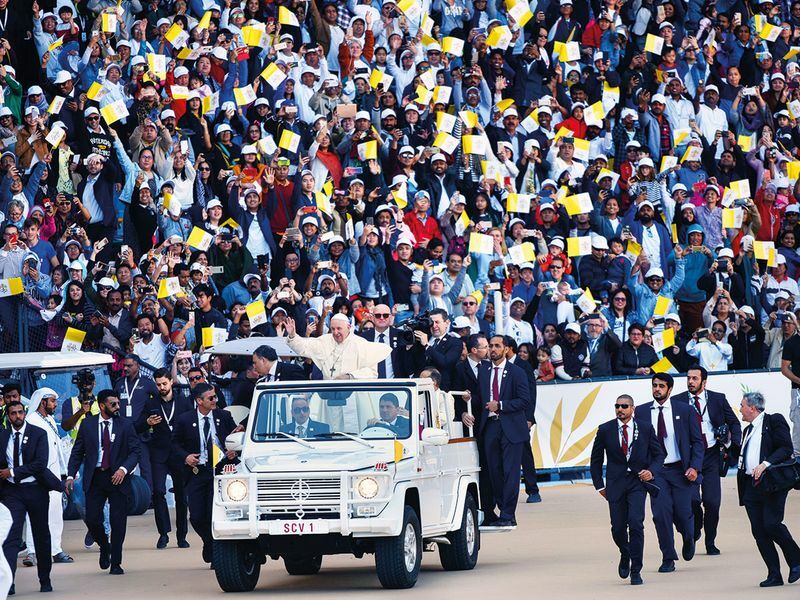 As the ground began reverberating to the chant of ‘Viva Papa’ through broken and tired voices, the strain of having been up the whole night before just to make it to Abu Dhabi for this service, lifted amidst the palpable excitement as Pope Francis turned the corner. 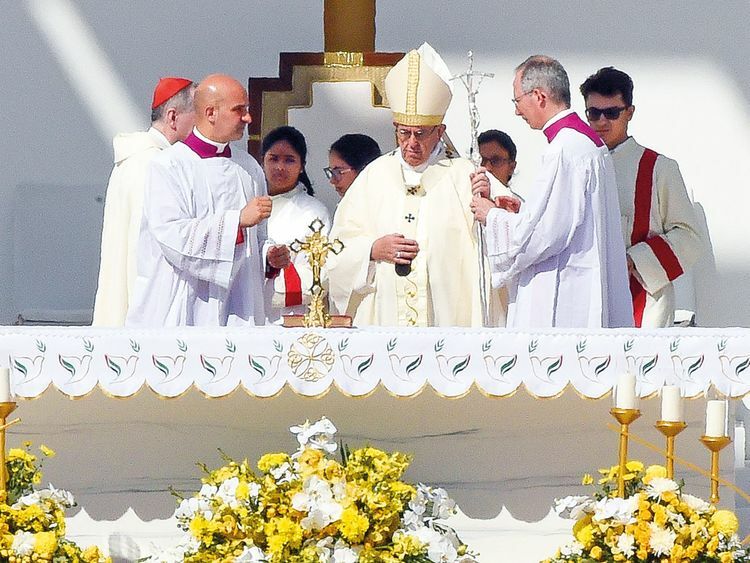 It wasn’t just the sense of history in relation to where this mass was taking place, or the importance of it being the first visit by a pontiff to the Arabian Peninsula. For many it was personal. The opportunity to attend a papal mass is viewed as a once in a lifetime experience. Something also very tangibly changed within that moment. The UAE has always allowed people of all religions to freely practice their faith, even setting aside land to build shrines for people to worship. But rarely has it so actively encouraged, or even celebrated, its own diversity to such a spectacular degree. This wasn’t only about Catholics. 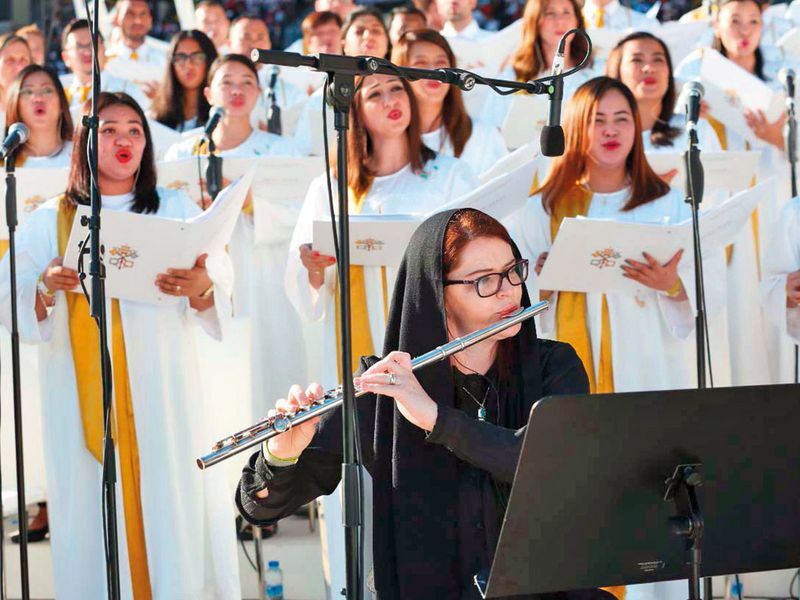 Although two million Catholics live in the UAE and the vast majority of the congregation on Tuesday were Catholic, some 4,000 were Muslim, and over 100 nationalities were in attendance. Prayers were said in six languages, press hailed from every corner of the globe, and the real message — although soothing for Catholics to feel representation and acceptance in their home away from home — was one of togetherness. What came out of this service was a greater sense of mutual respect and understanding, and the legacy of this visit will be one of greater unity and tolerance for a country moving on as one.